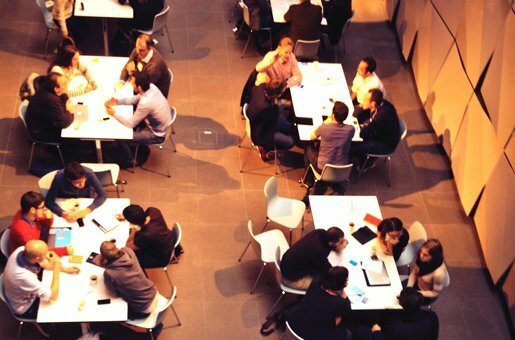 Seedcamp Berlin has today announced the seven winning startups from last week’s event. A broad range of startups will be joining the Seedcamp programme, including a “real-time story creator”, a “Dropbox for email” and a cloud-based payment network. A total of 19 teams from all across Europe competed to join the Seedcamp programme, which includes receiving seed capital, mentoring and coworking space. Hosted in Microsoft Ventures’ new Berlin Unter den Linden startup centre, the event included an investor day and a mentoring day, along with talks from Marco Boerries, founder of NumberFour, and Eze Vidra, Head of Google for Entrepreneurs. The competing startups were tasked with presenting three-minute pitches to an audience of investors, entrepreneurs and the media. Buzztale (Riga, Latvia) – allows businesses and media to leverage the buzz around live events by creating visual, branded real-time stories. Cashtag (Lisbon, Portugal) – a cloud-based mobile payment network. myTips (Kiev, Ukraine) – create interactive on-screen tutorials without using code. Popcorn Metrics (Lisbon, Portugal) – simplifies web analytics for businesses people without coding. Satago (London, UK) – technology to help businesses and freelancers to get paid on time. SquadMail (Berlin, Germany) – a “Dropbox for email” letting teams collaborate via share email folders. Zercatto (Porto, Portugal) – a tool for investors, letting them learn from and follow successful strategies in financial markets.